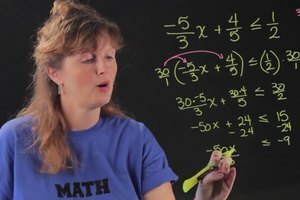 Changing fractions with unlike denominators but the same numerator requires you to just compare them and multiply them depending on the situation. 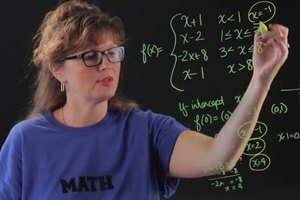 Change fractions with unlike denominators but the same numerator with help from an experienced math professional in this free video clip. How to change fractions with unlike denominators but the same numerator. 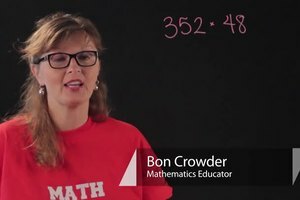 I'm Bon Crowder with MathFour.com and we're talking about fractions that have the same top but different bottoms. Same numerator, different denominators. So in fractions sometimes you need to add them, sometimes you need to multiply them and sometimes you just want to compare them. When adding or comparing, we really need to know what we're talking about which means we have to focus on this denominator. And if they're different, we have to figure out how to change them so that we can actually compare apples to apples in a sense. The numerators being the same gives you a weird sort of sense of comfort there because something is the same but it's really the denominator that we want to focus on. So here's how we change them. Anything that we have we can multiply by one. It doesn't change the value just like if I said hey I'm going to give you a raise I'm going to multiply your salary by one. Really. So it doesn't change anything to multiply by one. So we're going to multiply both of these fractions by a special form of one. Since we want to change them to be similar, I'm going to multiply this one by five over five, stealing the idea from this denominator and over here I'm going to multiply by seven over seven stealing from that guy. So now when I multiply across and get 15 and multiply across the bottom and get 35. I look over here I multiply across the top and get 21 across the bottom also 35. And now I've changed both fractions that now we have the same denominator, but different numerators. And now I can either add them or compare them. 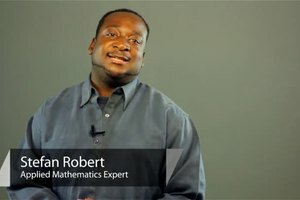 I'm Bon Crowder with MathFour.com and that's how you change fractions.